The game is still in development and is not the complete thing. Things that need to be added will be updated shortly. 1) A functioning Thruster Fuel gauge. 2) More weapons, score board and health bar. 3) Map fixes and bug fixes. 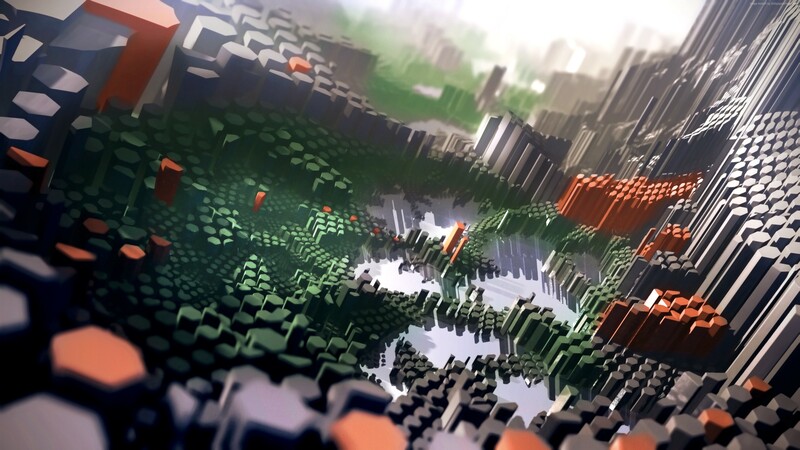 The game goes by the name of “Operation Voxel”. It is a First Person Shooter Multiplayer game where the aim is to kill your opponents and get the highest score possible to win the match. The players are basically droids set to explore the worlds and collect resources from opposing factions. The game starts when a player joins in, the aim is to get as many kills as you can. Players respawn in two seconds at selected spawn points. The player/ team with the most kills wins the game. Note: Online Segment to be implemented shortly Feedback is appreciated Cheers. The game can be run by simply running the unity .exe file . In order to start the game the person who wants to host has to start the game and select the "host" option, the remaining players can join buy selecting the (LAN) client option.